TKM KA100 HEAD RADIAL FIN Fits : TKM KA100, KA101R & BT95 engines. 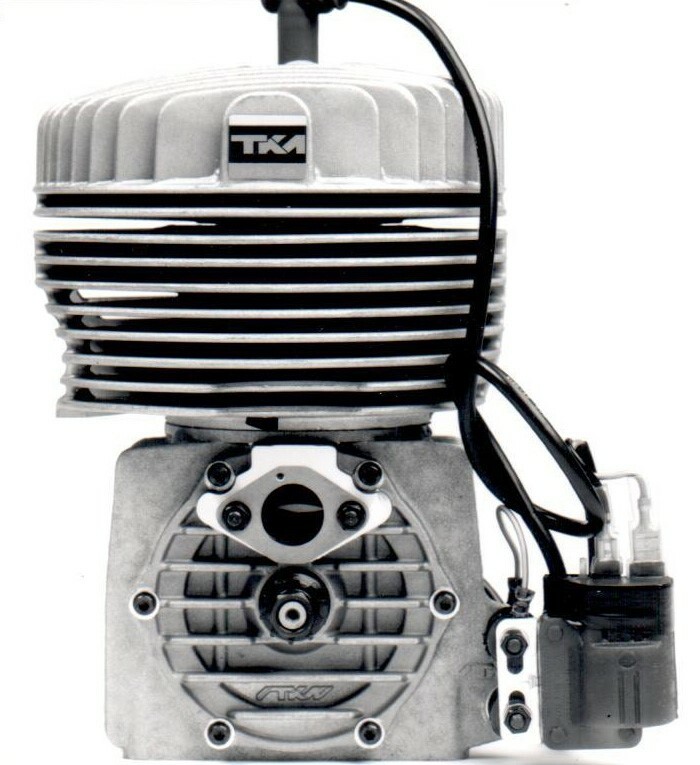 This new larger radial finned head was Homolgated with the CIK & MSA as an Extension to Homologation for the TKM KA100 & TKM KA101R on 1st JUNE 1993. TKM KA100 HEAD O RING for TKM KA100, KA101R & BT95 engines if O Ring Groove is Present on O/D of Liner Mating Face. Made from Centrifugally Spun Special Material Cast Iron. MAXTER TT PISTON COATED + CHROME RING 100cc with 1.5mm Top Ring. Cylinder Bore Size Required is 49.95mm. MAXTER TT PISTON COATED + CHROME RING 100cc with 1.5mm Top Ring. Cylinder Bore Size Required is 49.96mm. TT PISTON COATED + CHROME RING 100cc Cylinder Bore Size Required is 49.97mm. TT PISTON COATED + CHROME RING 100cc Cylinder Bore Size Required is 49.98mm. TT PISTON COATED + CHROME RING 100cc Cylinder Bore Size Required is 49.99mm. TT PISTON COATED + CHROME RING 100cc Cylinder Bore Size Required is 50.00mm. TT PISTON COATED + CHROME RING 100cc Cylinder Bore Size Required is 50.01mm. TT PISTON COATED + CHROME RING 100cc Cylinder Bore Size Required is 50.02mm. TT PISTON COATED + CHROME RING 100cc Cylinder Bore Size Required is 50.03mm. TT PISTON COATED + CHROME RING 100cc Cylinder Bore Size Required is 50.04mm. TT PISTON COATED + CHROME RING 100cc Cylinder Bore Size Required is 50.05mm. TT PISTON COATED + CHROME RING 100cc Cylinder Bore Size Required is 50.06mm. TT PISTON COATED + CHROME RING 100cc Cylinder Bore Size Required is 50.07mm. TT PISTON COATED + CHROME RING 100cc Cylinder Bore Size Required is 50.08mm. TT PISTON COATED + CHROME RING 100cc Cylinder Bore Size Required is 50.09mm. TT PISTON COATED + CHROME RING 100cc Cylinder Bore Size Required is 50.10mm. TT PISTON COATED + CHROME RING 100cc Cylinder Bore Size Required is 50.12mm. TT PISTON COATED + CHROME RING 100cc Cylinder Bore Size Required is 50.14mm. TT PISTON COATED + CHROME RING 100cc Cylinder Bore Size Required is 50.16mm. TT PISTON COATED + CHROME RING 100cc Cylinder Bore Size Required is 50.18mm. TT PISTON COATED + CHROME RING 100cc Cylinder Bore Size Required is 50.20mm. TT PISTON UNCOATED (Longer Life) + CHROME RING 100cc Cylinder Bore Size Required is 50.02mm. TT PISTON UNCOATED (Longer Life) + CHROME RING 100cc Cylinder Bore Size Required is 50.04mm. TT PISTON UNCOATED (Longer Life) + CHROME RING 100cc Cylinder Bore Size Required is 50.06mm. TT PISTON UNCOATED (Longer Life) + CHROME RING 100cc Cylinder Bore Size Required is 50.08mm. TT PISTON UNCOATED (Longer Life) + CHROME RING 100cc Cylinder Bore Size Required is 50.10mm.